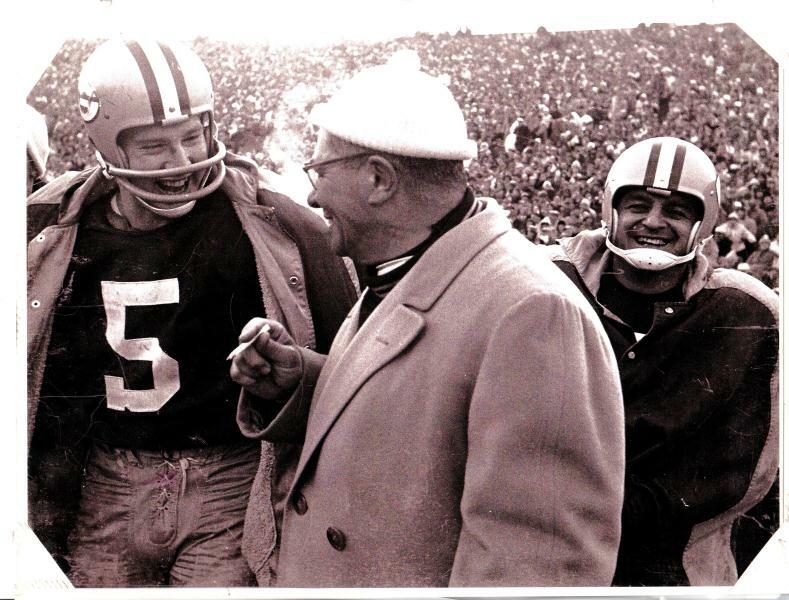 Ben is behind Coach Lombardi in this very famous picture along with the teams "Goldenboy ":Paul Hornung. your right I did know that, At least they get a slight mention on that . I bet you knew this: Ben is the only Pro football player in all of footbal players to play in all four leagues: PCPFL, AFL, NFL, AAFC. Ben was on 17 teams in 22 years, Ben has so many first's in football. I know that you know this...but Ben and Hardy Brown were the only men ever to play in the AAFC, AFL and NFL.